Who is ready for summer? I know that all of us at Full Throttle Auto Sales, your used dealership in Tacoma, WA. are! Barbecues, warmer weather, flip-flops, swimming pools. People across the United States load up the car and hit the highway to enjoy one of the great traditions of the season … the road trip. This is the time of year for a road trip! Go see the country! 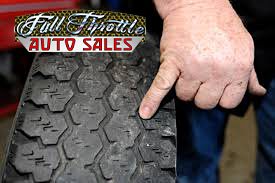 All of us at Full Throttle Auto Sales want everyone to beware of potential expense and frustration. It’s the end of a long day in the hot sun, you’re on the road, excited to reach your relaxing destination, but not there quite yet, and not quite in a relaxed state of mind. Just as you see the sign that says that you’re within 30 miles of the next town - CLUNK! You hear a very mechanical-sounding noise and feel your car lurch. Perhaps the noise gets worse, or the steering starts to feel not quite right. Maybe there’s a mechanical smelling… smell or even some visible smoke or steam. And then your heart drops, and the feeling of dread may start to sink in: that you may be in for a delay in reaching the relaxation you’ve been longing for… Frustration may set in at this point. In order to make the most of your travels, it’s best to give your vehicle a thorough checkup before you take on the road. Let’s be sure you don’t get stuck with maintenance issues in the middle of your excursion. If there is something you do not know how to handle, then bring your vehicle into Full Throttle Auto Sales to have it checked! Also, check your owner’s manual for advice on how to properly care for your car. Some of your equipment may be outdated and be ready for replacement. · Windshield Wipers – After long days of Washington’s rainy, snowy, and icy winters, the windshield wipers may be pretty worn down. Double check your wiper fluid and wiper blades to ensure they are full and in great working condition. Check and make sure they are not losing their grip, so you don’t end up stuck in a summer rainstorm unable to see the roads. 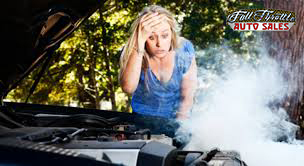 · Coolant– Make sure to check your cooling system, since summer is a prime time for your car to overheat! Since the cooling system helps prevent the engine from overheating, consider flushing and refilling the coolant. Or bring it in to Full Throttle Auto Sales to do it for you if you do not know how to properly perform this task. · Battery– It’s not something we would call fun to go to your car, start it, and BAM… dead battery in the middle of a hot summer day. Make check your battery for any defects. Be careful when handling a battery! Try cleaning around the structure to prevent future problems. Look around it to make sure it is properly filled and cleaned. This can help lengthen your battery’s lifespan. Click here for more information on how to properly check your vehicle battery! · Engine air filters– During the hot summer months your car’s engine can be negatively affected by the extra dust floating around. You might be surprised how much dirt and dust can get caked on to them and reduce your car or trucks performance. It’s a good idea to check the filters to see if they’re caked with dirt and, if so, to replace them so your engine can function properly. · Oil change– It may be time for an oil change depending on your car and your usage of the vehicle. While most modern cars have sensors to warn you when your oil needs a change, make sure to check if your oil or oil filters need replacing. It’s also a great idea to check your oil weekly, just to ensure things are running right. · Air conditioning– You don’t want to get stuck in the summer heat without proper A/C, so it’s a great idea to check that your air conditioning is working at its best. Just turn it on and make sure that it is giving off the right amount of air flow. If it does not feel right or powerful enough, take it in to be looked at by a licensed mechanic. *If it’s a little sluggish, then it most likely just needs to have the freon recharged to have it blasting cool air throughout your car. · Tires and tire pressure– Take a look at your tires to see if they are in tip-top shape for summer road trips and hot summer roads. Also, check your tire pressure regularly! *Your vehicles appropriate pressure for your tires can be found on the tire place card in the driver’s side door jamb or in your vehicle owner’s manual. · Hoses and belts– Check any hoses or belts under the hood of your car. When your car is cool, feel around gently and see if there are any worn out parts or blisters. This could mean that the pieces need some repairs. · Brakes– Try pumping your brakes a few times to see if they are still in good shape. If they make a weird noise, or feel different while you’re driving, consider taking them to a mechanic to be checked, or replacing the brake fluids. It’s a great idea to take your car for a quick test drive every so often. Listen for any odd noises, or strange feelings while driving. This can help you catch a problem before it gets worse. These quick and easy steps can help you enjoy your summer knowing that you’ve worked to stay on top of your car’s maintenance. 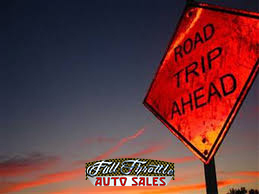 If you’re looking to purchase a new-to-you vehicle, then stop in to Full Throttle Auto Sales used dealership in Tacoma, WA., or click here to see our inventory!